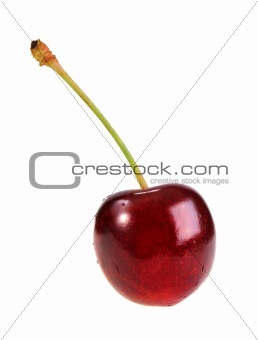 Image Description: Single dark-red sweet-cherry. Isolated on white background. Close-up. Studio photography.